When Corey and his sister Teigan go exploring in the woods, they meet a tiny little man who introduces himself as Archie the ermp, one of a happy band of small people who live far underground. 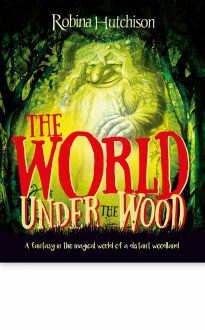 They follow their new friend through a hidden door in a hollow tree and down into his secret home – and on the way they find they have become almost as small as Archie. They meet his family and his many ermp friends, and soon find themselves having such a good time that they completely forget to go home…An enchanting story for six to nine-year-olds.